The scheduled launch next month of a 115,000-square-foot center for Bank of America in the downtown Stamford office complex at 600 Washington Blvd. marks the largest corporate arrival in Fairfield County in 2018. 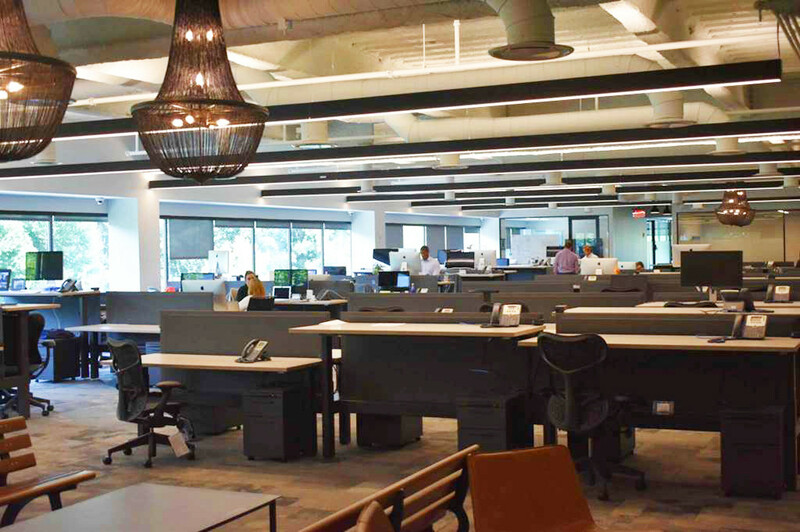 So far this year, BoA comprises the only company in the area to open an office covering more than 100,000 square feet. Other major deals have accounted for much smaller footprints. Professional-services firm KPMG announced last month that it would relocate its Stamford offices next year from the edge of the city center, at 3001 Summer St., to 677 Washington Blvd. KPMG would take approximately 40,000 square feet, according to Avison Young data. Standing across the street from 600 Washington, 677 Washington comprises the city’s largest vacant office property. A couple of blocks away, the Building and Land Technology-owned office hub at 200 Elm St.-695 E. Main Street has scored this year a trio of new recruits: CA Technologies, hedge fund Tudor Investment Corp., and Webster Bank. Those firms are cumulatively taking about 75,000 square feet. Norwalk’s largest deal this year involves a company already based in the city: Financial data and software firm FactSet is planning to relocate its headquarters next year from the Merritt 7 complex to the neighboring 45 Glover St., where it would take about 173,000 square feet. The deal would allow FactSet to expand into an additional 60,000 square feet in adjoining buildings, according to Avison Young. Many landlords elsewhere in Norwalk are focusing on smaller companies. In July in South Norwalk, developer Patrick Eldredge acquired the Thornton Building on Water Street and is now overhauling it for new tenants. The four-story building is split into eight wings totaling slightly more than 4,000 square feet apiece on average, with Eldredge anticipating subdividing at least some of those floor plates for smaller companies, in addition to tenants with existing leases who would move back in when renovations are complete. “We’ve had some talks with high-end ad agencies (and) architectural firms … We had a fashion company come look,” Eldredge said. In Greenwich, the majority of the approximately 250,000 square feet of space filled in the past year has gone to large tenants like AQR Capital Management and Interactive Brokers, according to an analysis last month by commercial real estate firm Newmark Knight Frank. But the town has also benefited from smaller deals, including Eldridge Industries and Eagle Point Credit each securing 20,000 square feet at 600 Steamboat Road; and the U.S. Trust division of Bank of America adding about half that amount at 55 Railroad Ave. “While there are larger tenants such as Interactive Brokers that have given a burst of lowering the (central business district) vacancy rate, it is the larger amount of leases signed by the smaller tenants that are filling in the cracks and that have continued to improve the overall market in Greenwich,” said Nathaniel Barnum, senior vice president in the Greenwich office of Lincoln Property Co.
Somers Orthopaedic Surgery’s lease of approximately 40,000 square feet on Old Ridgebury Road in Danbury comprises the largest leasing transaction so far this year in northern Fairfield County. On the same street, Owl Cyber Defense recently signed a lease for about 25,000 square feet. Major deals in eastern Fairfield County this year include specialty chemicals maker Lanxess Solutions signing on for about 29,000 square feet at 2 Armstrong Road in Shelton. The company is relocating from Middlebury.